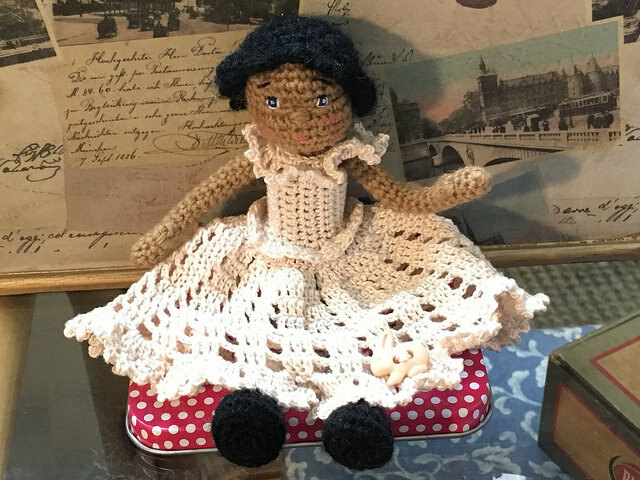 Back to knitting dolls! 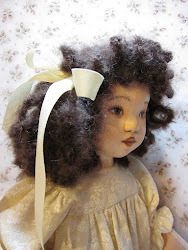 I've been smitten by a free doll pattern on Ravelry, by the very talented Deena Thomson-Menard. 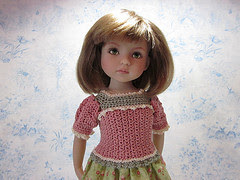 The doll pattern is Lottie, and as mentioned, is freely available on Ravelry. 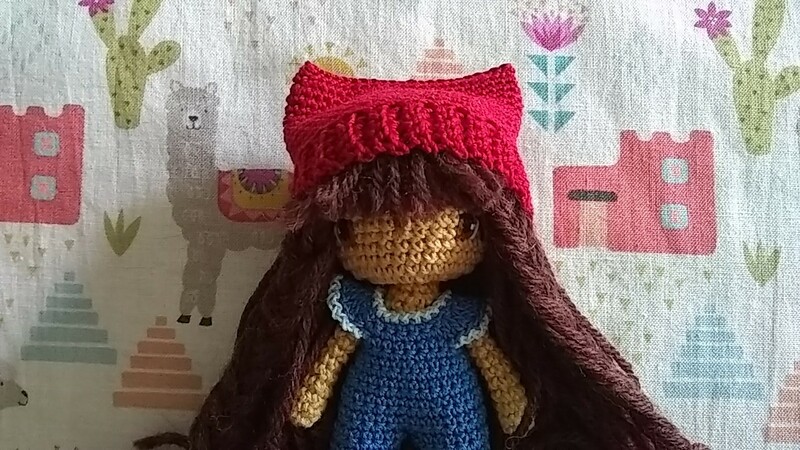 I started a KAL at We Make Dolls, but wanted to try out some tweaks to the pattern, so started a second doll, which is Rachael. Mine were made with 7/8 inch buttons, but you can use any size you want. All you'll neeed are the button forms, some scraps of white cotton fabric, acylic paints in white, black and iris color, and gloss or satin acrylic varnish. 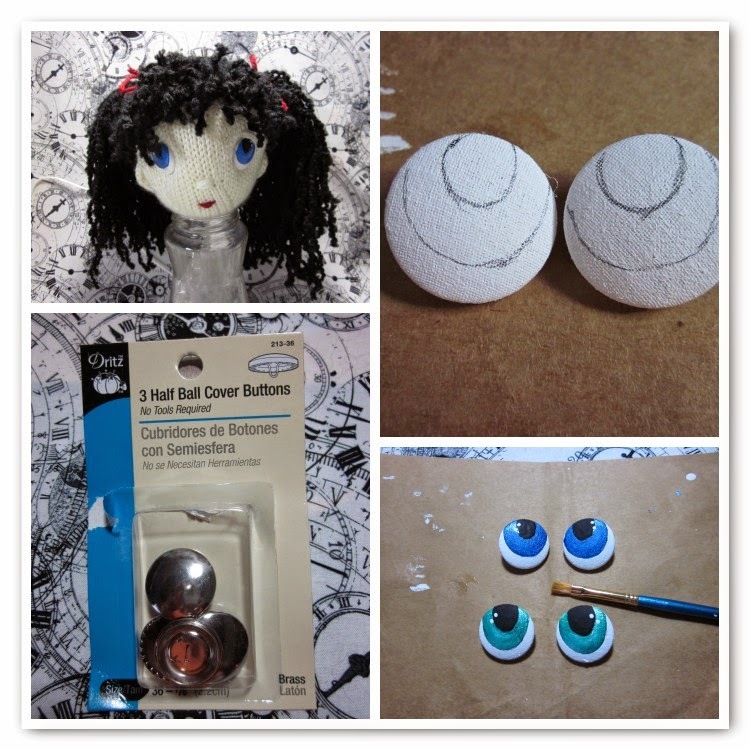 These eyes would work for any doll or animal, in cloth, crochet, or knit. As for Rachael, I used size 4 dpn's to knit her body, instead of the 7's called for in the pattern. The yarn is Caron Simply Soft, which I do not like for crochet, but it knits wonderfully. 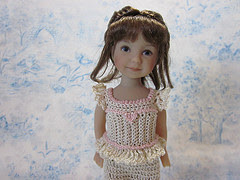 I wanted a smaller doll than the original, so I took out eight rows from the body, and will take eight rows out of her legs and arms (I think). I used a skull pattern from the Lionbrand site, and an Irish rose of my own, but the idea was all hers. Here is the pattern for Angelique's Demondress. Perilous to speak thy name! On Demonwings dark and fell. To pray for thee; to shed a tear? From the bleak undying Grave? 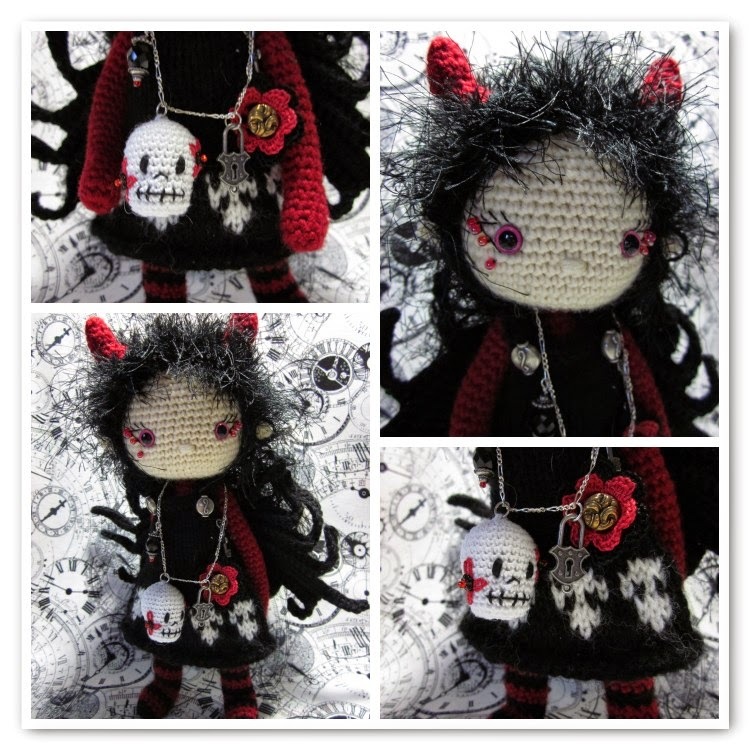 Just in time for Halloween, some Demon Details that you can add to your handmade doll. 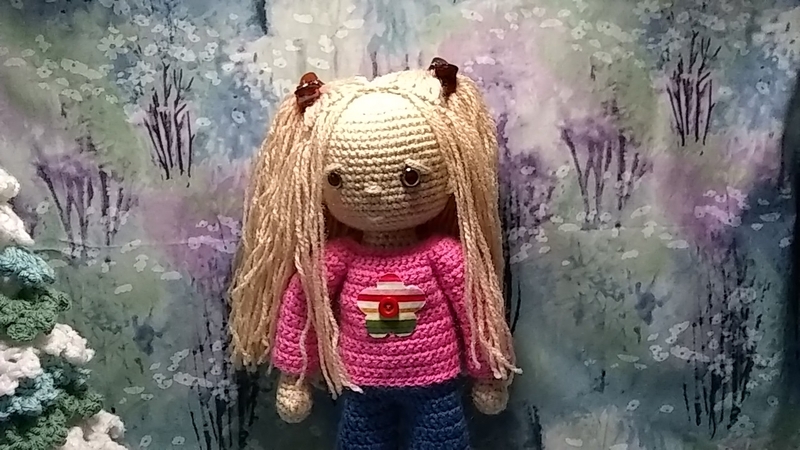 I started with Isabelle Kessedjian's My Crochet Doll, and added horns, wings, and a few facial touches. Voila! A Demonchilde! I plan to knit her a black jumper festooned with skulls along the bottom, but I didn't want to wait that long to share her!